FastStrip Plus is a high-powered, solvent-based concrete sealer remover for heavy coatings and the most difficult to remove sealers. Specially formulated to be used indoors or out, wherever water can be used to flush off the sealer. 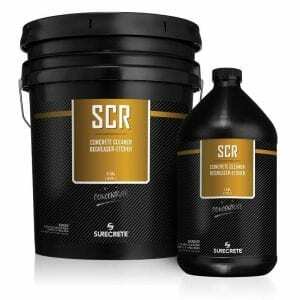 This concrete coating remover contains biodegradable surfactants and non-chlorinated solvents. 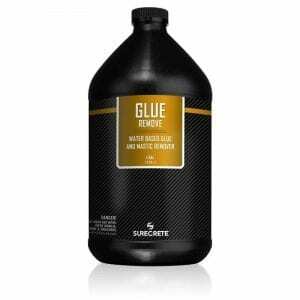 SKU: N/A Category: Concrete Surface Preparation Products Tags: acrylic sealer remover, acrylic sealer stripper Brand: SureCrete Barcode: 842467106426. FastStrip Plus is a Solvent-Based concrete sealer remover that can be used to remove old sealers before repair or resurfacing. Most concrete slabs are not immediately ready to receive a new coating or overlay. Most have a pre-existing coating on them that must first be removed before any new product can be applied. FastStrip is one of the strongest chemical stripping agents for concrete and is widely used by professional contractors and decorative applicators to prepare a slab with heavy amounts of residual sealers, concrete coatings, and stains to receive a finished surface. 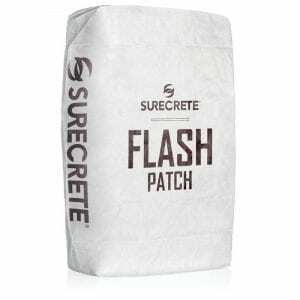 How Do You Use SureCrete FastStrip Plus™ Chemical Coatings Remover? FastStrip Plus is an incredibly useful chemical coating removal product when used properly. You should apply Fast Strip Plus onto a small test area before using across your entire surface. Product may be sprayed from a Chapin sprayer, brushed or poured out and squeegeed out evenly across the surface to be treated. Allow Fast Strip Plus™ to stand a minimum of 20-30 minutes to soften coating. Add a small amount of water and scrub vigorously to emulsify the coating. FastStrip Plus™ may be sprayed from a Chapin sprayer, brushed, or poured on and squeegeed evenly across the surface to be treated. Test in a small area before applying FastStrip Plus across the complete area. 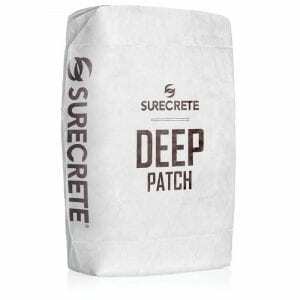 Use at the rate of approximately 1 gallon per 150 ft² (13.9 m² per 3.8 L). 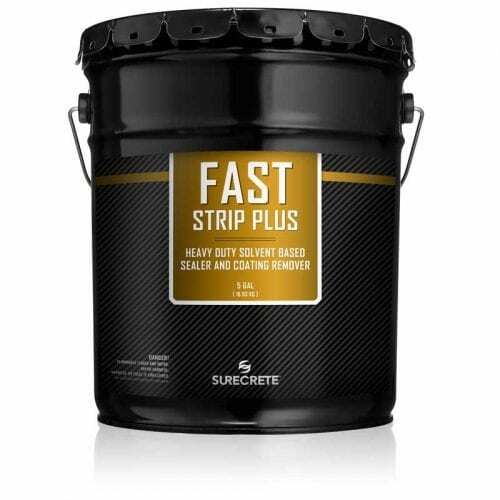 Allow FastStrip Plus™ to stand for a minimum of 20 – 30 minutes to soften coating. Add a small amount of water and scrub vigorously to emulsify the coating. Thick coatings may require a second treatment. Scrape up residue and store for disposal, rinse thoroughly with water. Flush away dissolved waste or vacuum up and rinse clean. Note: Exercise caution for creating a source of ignition with electrical tools, fuel burning appliances, and other sources, as FastStrip Plus™ is flammable. Use protective gear including a respirator and provide proper ventilation. Question: Will FastStrip Plus Concrete Coating Remover kill plants? Answer: Yes. If not rinsed immediately, this product is quite hazardous and will kill any plant life it comes in contact with. Question: How hazardous is FastStrip Plus Concrete Sealer Stripper? Will it harm me? Answer: It is very hazardous, and care must be taken when applying this product. It should not be inhaled and must be kept away from any sources of ignition as it is flammable. Yes. If not rinsed immediately, this product is quite hazardous and will kill any plant life it comes in contact with. It is very hazardous and care must be taken when applying this product. It should not be inhaled and must be kept away from any sources of ignition as it is flammable.